Hello, my name is Brooke. I am in seventh grade at Memorial Middle School in Fair Lawn, NJ and I will be having my Bat Mitzvah on May 28, 2018. For my Mitzvah project, I am raising money for The Onyx and Breezy Foundation. The Onyx and Breezy Foundation is a non-profit organization founded by the Shefts family in memory of their two Labs, Onyx and Breezy, who passed away in 2004. They created the foundation to make sure that the memories of their loved dogs will live on through supporting the needs of animals. 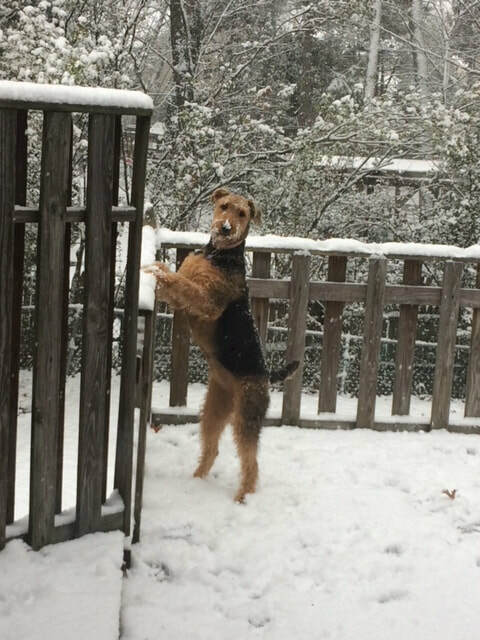 They support rescues, shelters, research, and even disaster relief where puppy rescues are needed. I chose the Onyx and Breezy foundation because I love animals, especially dogs! Dogs in shelters have a special meaning to me. 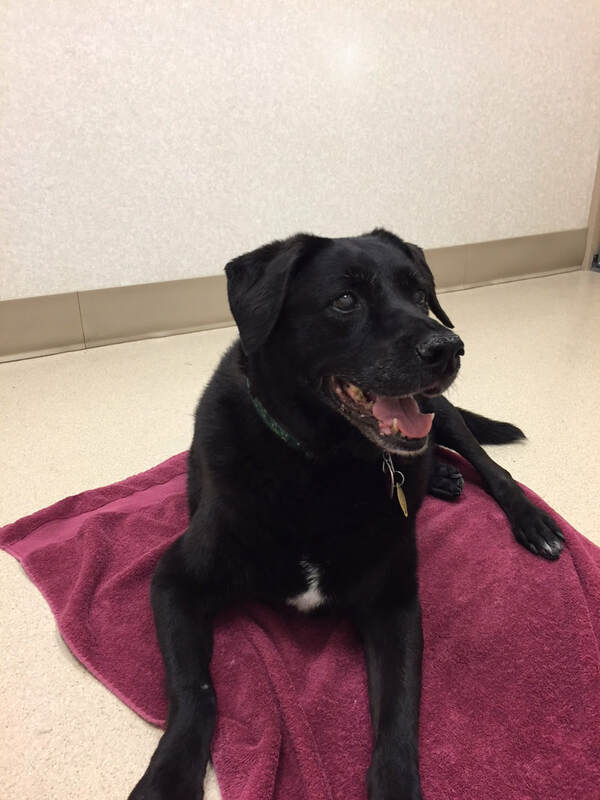 My first dog Lucky, a black lab-pointer mix, was a shelter animal. My parents brought Lucky home before I was born on December 30th, 2004. I knew and loved her all of my life. She died on October 8, 2016. My second dog, Riley, an Airedale Terrier, is not a shelter animal, but is as cute as a button! 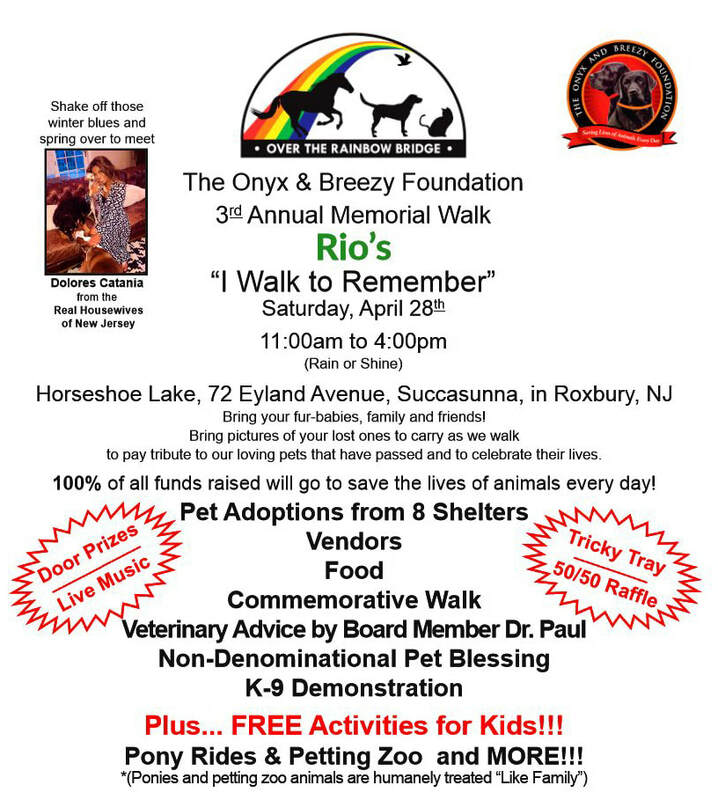 My family and I are participating in The Onyx & Breezy Foundation’s third annual I Walk to Remember on Saturday, April 28, at Horseshoe Lake in Succasunna, New Jersey, beginning at 11 am. We would love for you to come and join us on April 28. You can sign up to walk with me and donate to my Mitzvah project by filling out the form below and clicking on the "Donate" button (suggested donation: $20 per person/$50 per family – it’s through PayPal but you can register and give via credit card). If you can’t make it that day, please consider donating what you can by clicking on the "Donate" button below. All of the money you donate to my Mitzvah project will go directly to the Onyx & Breezy Foundation, and because of the generous work of the Shefts family, all of the money collected by the Foundation goes to helping animals. I am hoping to raise $1,800 for this amazing and worthy cause! I hope to see you on April 28. There will be all sorts of great activities and pets are invited!